Sydney’s West Connex Motorway, one of Australia’s biggest infrastructure projects, is not without its downsides but may provide a potential model on how future urban public transport projects can be financed. The first phase of the $11 billion project has been funded by the NSW government with the sale of Port Botany. The failure to properly predict vehicle patronage in the past decade has resulted in a series of tollway business failures. So by opting to build the first phase itself, the government can accurately assess patronage estimates and hence toll income, then sell it off to private owners and operators, using the resulting funds to begin the next stage of the system. Across Australia there is a backlog of urban rail projects that are now not in the Federal knitting. Perhaps the West Connex model provides a way forward on urban public transport – with some advantages over motorways. I’ve argued before about the dramatic shift in urban rail patronage, with rail transit in particular becoming more market-based due to its ability to by-pass traffic. Economically it has an important role in making urban centres viable and attractive to global capital in the knowledge economy. We know the arguments around it: reducing carbon and sprawl, improving air quality and health; but the new factor is its importance in improving urban productivity. Agglomeration economies occur around urban rail stations due to the extra synergies between different parts of the workforce; international examples such as London’s Cross Rail have delivered a cost-benefit ratio of between 1.5 and 3.0. While European and Asian cities traditionally show a strong market case for urban rail, now the car-dependent cities of America and Australia are demonstrating through patronage demand that there is a market for urban rail. 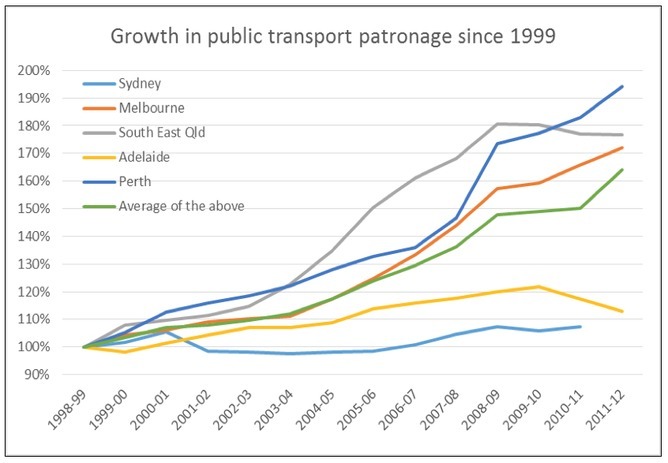 Figure 1 shows the recent growth in urban public transport in in Australian cities. The major growth has been driven by new infrastructure, so new rail projects in Adelaide and Sydney are likely to affect their trajectories to resemble the remarkable growth in Perth, Melbourne and SE Queensland. The data indicates substantial growth in public transport; patronage averaged out at 65% higher than was being attracted just over a decade ago – nearly 100% growth in Perth. All Australian cities now have large scale plans to complete their urban public transport systems. Build the first phase of urban rail projects based on private sector consortia bids that include the development of land around stations. Prove up the patronage income from fares and alternative funding sources like parking levies and especially land value capture. Put this in a special Transit Fund. Place the newly operating first phase urban rail project onto the market as a privately owned and operated rail service. Use the capital raised as the basis for the next stage of the urban rail project and repeat the process until the full network is created. The key advantage in this process over the West Connex and other road projects is that rail can produce land value capture revenue. Motorways do change the value of land but it is highly dispersed and residents are not keen to live near them due to traffic and noise. However modern electric rail focuses land value increases near to rail stations due to their market attractions. There is a willingness to pay for accessibility that translates into higher real estate values. Perth’s new Southern Rail has attracted 78,000 users a day due to its significant speed advantages over traffic; as a result there has been a 42% growth in land values near stations over five years. This translates into higher land-based tax revenues such as council rates, state land taxes and stamp duty, Federal capital gains and GST on land sales. These can be hypothecated into a fund along with fares and relevant other funds like parking levies. Across the world, a range of cities have used this Tax Increment Financing method for urban rail; Delhi is looking at more than half of the potential income for their new regional rail from this source. Australian state governments are looking at this possibility but the West Connex model suggests that instead of leaping into private rail they could test the real size of the revenue that could potentially be created by the new rail project. Apart from lobbies that do not want to see urban public transport at any cost, there are some prevailing views that transit is not a 21st century economic instrument. This is because it is not seen to have a true market that could stand on its own without government. Peter Newman does not work for, consult to, own shares in or receive funding from any company or organisation that would benefit from this article, and has no relevant affiliations.